The plenum-approved Evolution Series Ceiling Box provides a compact design, with a projector mount option and a hidden place for the needed active equipment. These boxes are perfect for smaller spaces like conference rooms and education facilities where racks will not fit. 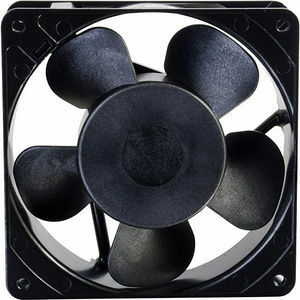 The fan measures 120mm x 120mm, 120 VAC, 49 CFM/28 dB and is used when additional air flow is required. Includes fan guard.